Amazon page already up for Steve Houses's training book. Not much to do with bouldering I know, nor can I imagine why the book won't be released until March when review copies apparently already exist. That isn't going to help anybody's pre-monsoon season.. I've edited the wiki so if anyone finds any especially useful stuff it can go in there now. 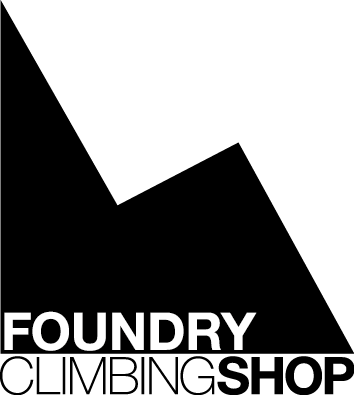 There are already training and injury pages linked from the Bouldering FAQ section. Just started moving the link you included around and Julian Sanders pages are already linked from the Elbow page, I've now included it on the Shoulder and Pulley pages. I spent some time reformatting what GCW wrote on pulleys a while ago, if you want to re-write the three separate injury pages into one coherent one that would be useful. A nice rundown of training apparatus including analysis of fingerboards, different types of campus boards, pinch trainers, dumbbells, and more obscure pieces like swivelbars, rings, and so on. Good read! I know it's somewhat off-topic for us here, and the idea that there might be any threat of me engaging in "The New Alpinism" is to laugh, but just look at some of the people interviewed/quoted: Tony Yaniro. Peter Habeler. Vojtek Kurtyka. Will Gadd. Barry Blanchard. Ines Papert. Colin Haley ... a complete Who's Who of Gnarliness. I am totally buying this book. An interesting article about negatives. I finally understand why they never worked for me en route to one armers. I was doing them wrong. She says that unless your negatives are done with more weight than your er, positives you are wasting your time. I think. I have not read the Lopez's one, but if she says so, she agrees with the one I linked. Free worldwide shipping and just under 25% of the RRP from an alternative to Amazon. Review here praises the sections on mental approaches and nutrition which will be of use to those with no interest in Alpinism. My emerging plans for the summer don't involve any high altitude or (intentional) snow & ice, but they do involve being able to keep going for 25 pitches not that far below my top onsight grade without needing a lie down. Ideally also finishing before it gets dark. So I will be paying some attention to the "how to keep going reasonably quickly for hours at a time" chapters. I'll be getting it. Unfortunately it's two months rather than two years before putting everything into action but I'll clutch any straw in a storm. The Book Depository now owned by the tax avoiders. This site is sometimes useful, though not in this case. The Training Effect : Methods by Steve House & Scott Johnston an extract from the aforementioned book. I have a good but old book called 'training for mobility' free to a good home. +1, physical, in my social mobility library I have a range of texts from 'The road to Serfdom' to 'Crush that Prole'. Rippetoe is God and this is his Bible. After the article about alcohol, now one about weed. Not much science due to lack of data and human experiments, but the point is that weed has negative physical effects on performance. Always build or retain muscle. New book on the head game. Aimed at route climbers but very applicable to bouldering too (particularly 'fear of failure'). Concisely written (by two Psychology PhDs! ), with largely jargon-free science supporting lots of practical exercises for translating it into results!